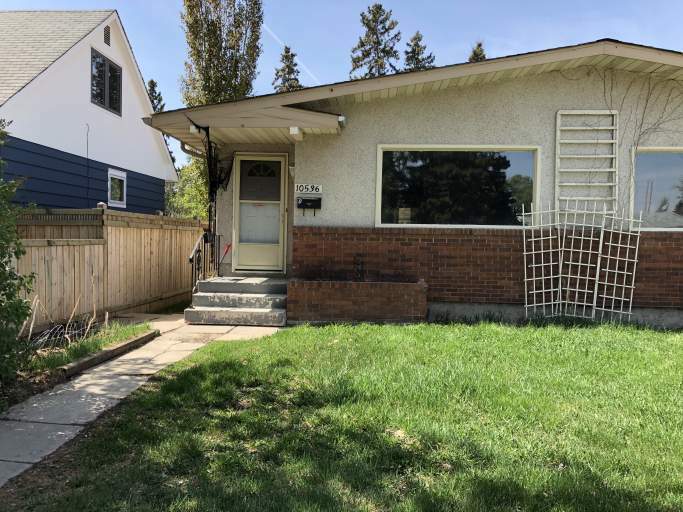 Located in West Edmonton, this main floor unit offers proximity to West Edmonton Mall and the surrounding shopping amenities as well as various schools and parks, including Brightview School. With plenty of bus routes in the neighborhood and easy access to major commuting routes, this is an ideal location to call home! Enter this spacious and bright unit and find a massive living room with laminate flooring and plenty of space for any furniture arrangement! Off the living room you'll find a large dining room area, perfect for any kitchen table. The bright spacious kitchen is complete with tons of cupboard and counter space, and offers white appliances including a full size fridge and stove. Three large bedrooms, a full bathroom with tub shower, a laundry closet with your own private stacked washer and dryer complete this functional and spacious main floor! Enjoy access to the shared backyard and a large parking pad in the rear of the building. Main Floor Tenant is responsible for 60% of utilities charges.